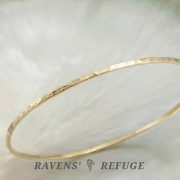 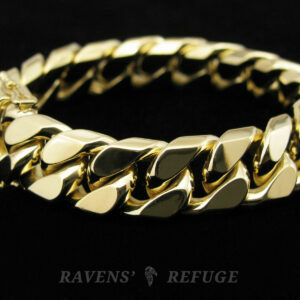 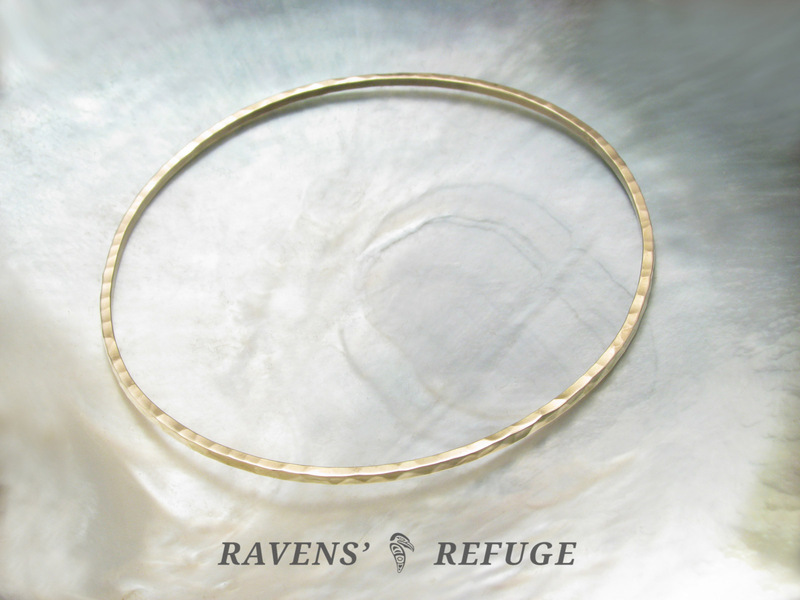 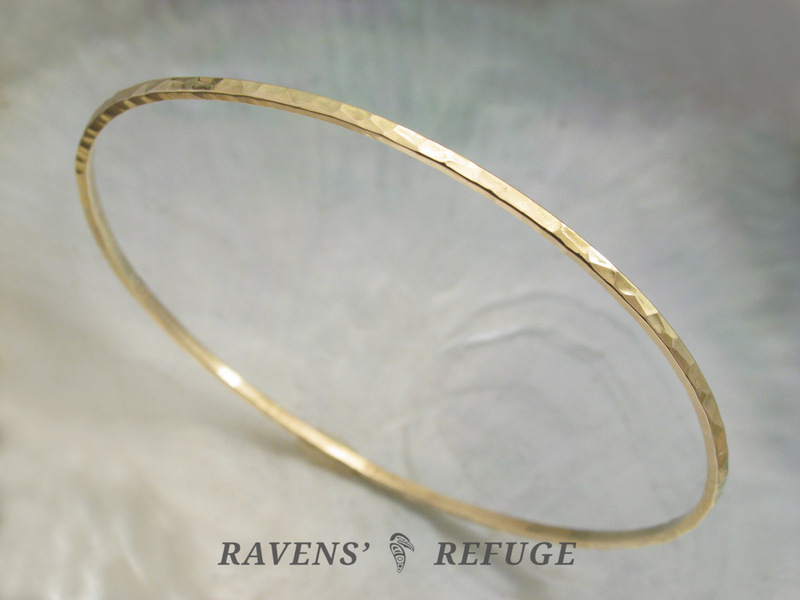 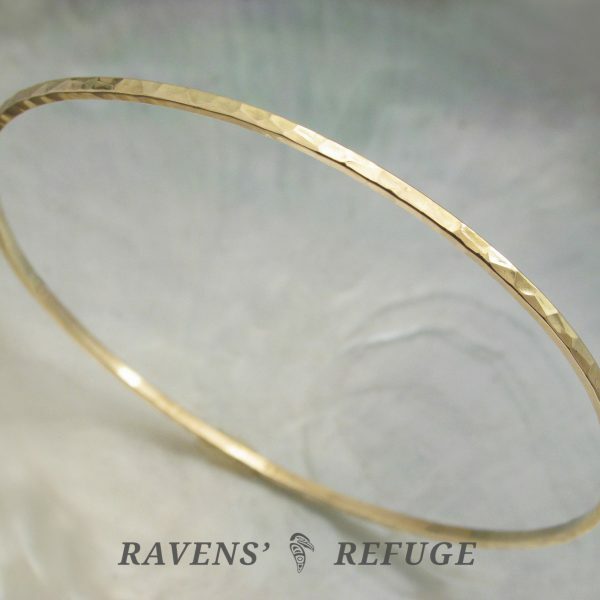 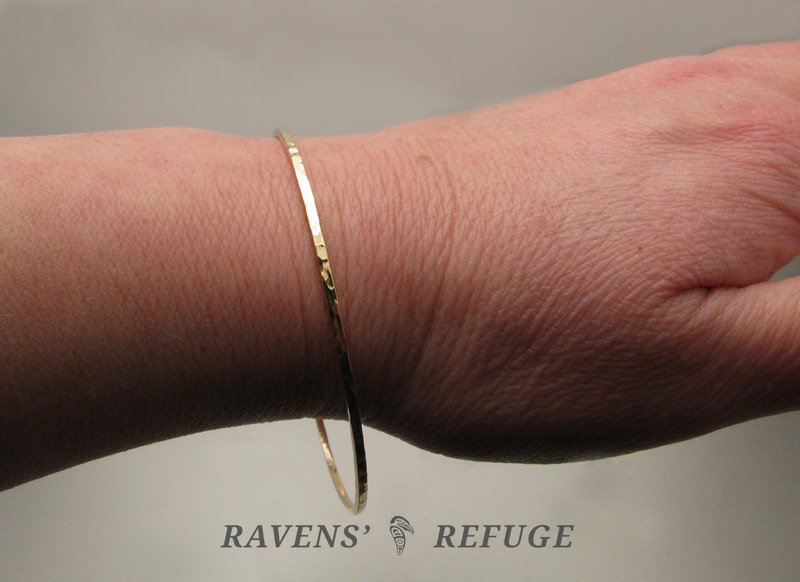 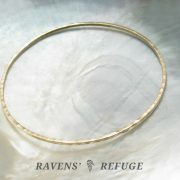 This sweet hammered gold bangle is perfect on its own or for stacking. 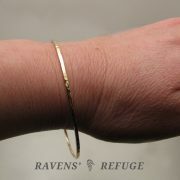 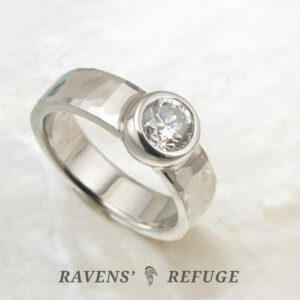 Because the bracelet can be made into a set in the future, it makes an excellent anniversary gift or birthday gift. 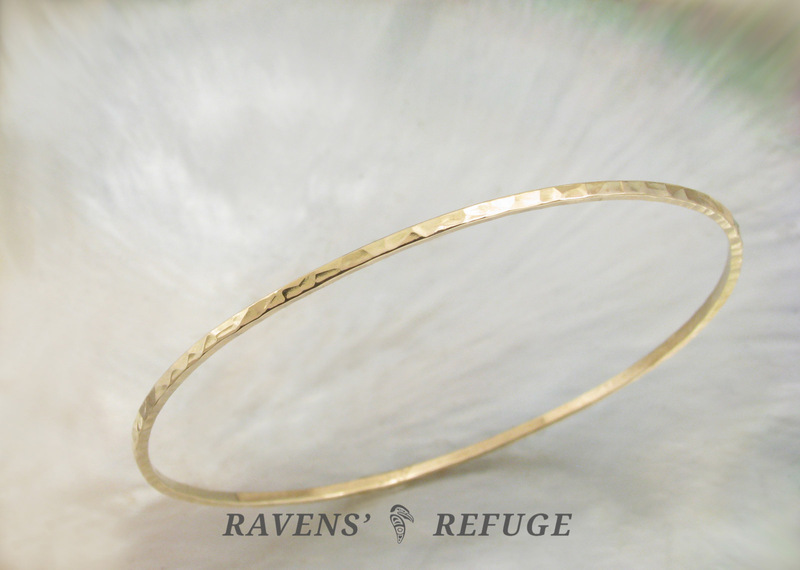 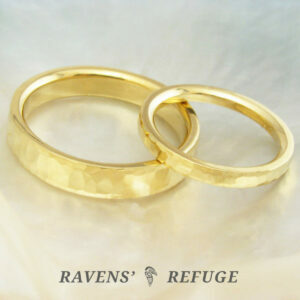 Dan hand forges each of these bangles to order from the raw material. 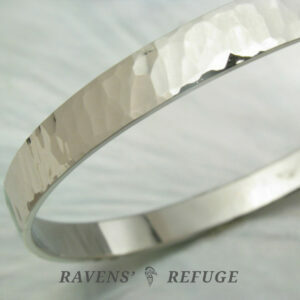 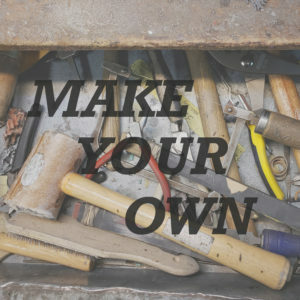 The metal, dimensions and hammering style can be customized to your preference.